At Temple Emeth, the values of Reform Judaism are embraced every day. Whether it is our stirring prayer services, our unmatched outreach to the community, or the way we lovingly educate our members, Temple Emeth takes pride in our programming and, more importantly, our people. We understand that each person is on a unique Jewish journey, and we seek to help nourish every soul that walks through our doors. Founded in 1947, we began as the Bergen County Reform Temple. In 1955, we changed our name to Temple Emeth, honoring the pursuit of truth. As our congregation has grown, our temple building has grown with it. In the 1950s, we met in a building on Larch Avenue (currently the Ethical Culture Society of Bergen County). In the 1960s we moved to our current location on Windsor Road, and in the 1990s we expanded our Windsor Road facility to better accommodate all of our wonderful programming. And yet with all those changes, some things have remained the same. We remain a congregational family that continues to work together for tikkun olam—the repair of the world. Many of our current Temple Emeth members grew up here. Their ongoing commitment links us to our past, from generation to generation. We cannot speak of our history without looking to our future. No one can predict the joys and challenges that the Jewish people will face in the years ahead, but we know that our future will be stronger if you are part of it. Rabbi Louis J. Sigel was born in Derby, Connecticut. A graduate of Yale University, Rabbi Sigel was ordained by Hebrew Union College-Jewish Institute of Religion in Cincinnati, Ohio. He also held a Doctor of Divinity from HUC-JIR. Having served a pulpit in Malden, Massachusetts Rabbi Sigel assumed the pulpit of Temple Emeth in 1960 and served as rabbi of the congregation until his retirement in 1992. 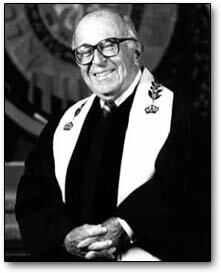 A master teacher and preacher, Rabbi Sigel continued to play an active role in the life of our congregation until his passing in 2005. He is survived by his wife, Mimi, who lives in Hackensack, his children Judy and David Fox and Debbie and Ken Rutz, and by his grandchildren Jacob and Matthew Fox; Robert and Jeffrey Rutz. May Rabbi Sigel’s memory be a blessing.